It’s hard to believe it’s that time of year again, induction fever has hit. The ST3 sessions were split over 2 days with the first day incorporating sessions on “satisfactory progression in ST3”. This gave them lots of useful advice about the year ahead and the resources available to them. Following this, they had an interactive session on how to make the most of ST3, with the benefits teaching and mentoring as a trainee has to offer. There was lots of keen enthusiasm following this for the various opportunities on offer. 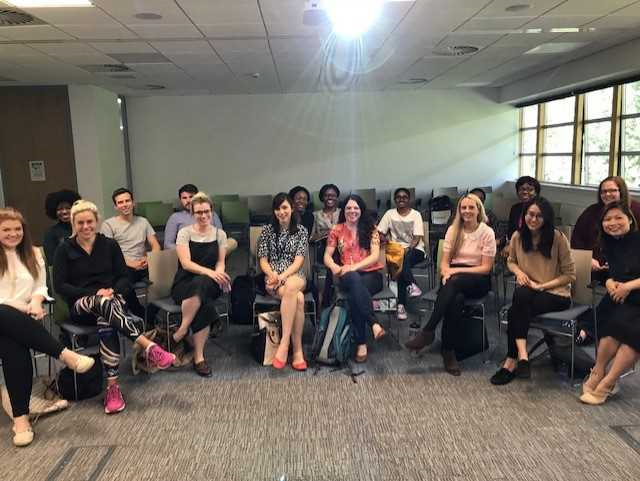 This was followed by a careers session which the trainees rated highly, giving them a chance to speak to a variety of different GPs. This generated lots of great questions and discussion about the various opportunities available to give them ideas about what life after training can offer them. The following week they had a chance to meet and socialise with the ST2s for lunch provided by the RCGP. This set them up well for a fantastic interactive session led by Sally Harkness, GP and RCGP examiner. Focusing on the CSA exam they had a chance to find out all the practical aspects and tips for achieving success in the exam. Getting a chance to write their own CSA cases brought the exam to life and they have all left more reassured and with great enthusiasm for the Nairn CSA course in a couple of months.